Rather early on in my years in Fairbanks, I’ll admit I wanted to list myself as being in a relationship (on Facebook). Unfortunately I wasn’t able to specify my partner’s name because Alaska didn’t have an account. I couldn’t say I was “In a Relationship with Alaska.” Little did I realize just how correct that statement would become. Apart from Michigan, Alaska is the place where I’ve spent the most time. I have an Alaska Driver’s License, am registered to vote there, and store the majority of my belongings there. 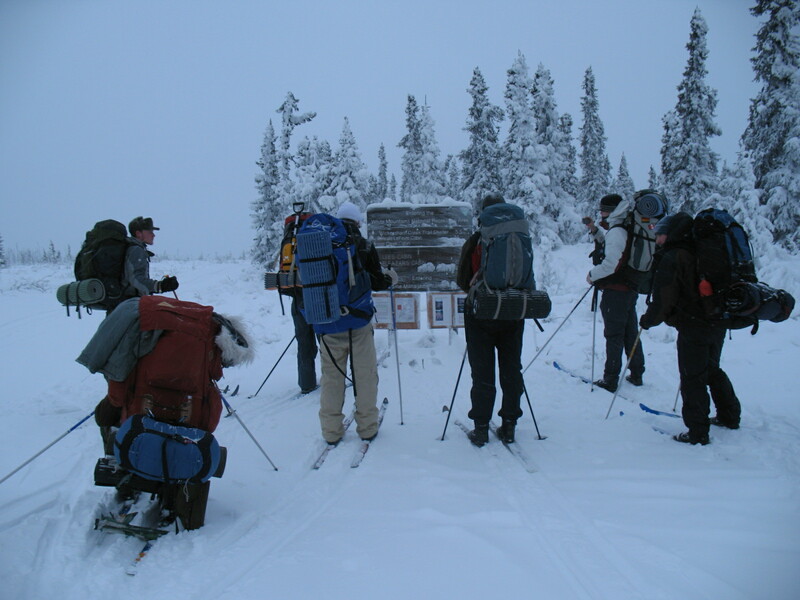 However, it’s not the place to find winter wildlife research. The birds are down south, the bears are sleeping, and most everyone else gets forgotten during the cooler months. Hearing about the big snowstorms hitting the Midwest and East Coast is breaking my spirit a little. Being able to run in shorts and a t-shirt in January and February is convenient but just feels wrong. I don’t have the pleasure of frosted eyelashes, wearing Yaktraks, and wondering how many layers to wear. The ground here is generally green, but fields and trees are dead; the snow and frost of Fairbanks would sure look a lot more pretty. As people grow they develop certain tendencies and interests. Whether by genes, fate, or interest; I became a northern girl. The 4 seasons make life beautiful, and I don’t particularly want to live in a place where they just differ by rainfall. Fall and winter are probably my favorites, and since my eyes seem to be more sensitive to light than most people’s, Alaska’s wintry darkness is the best. I’ve also found that warmth + light put me to sleep, so the dark chill of winter actually keeps me awake. My field co-workers know I’m not one for being around many people. At the peak population this summer, we had 17 people at Tutakoke. When I saw the spread of tents on the horizon, I wanted half of them to disappear. How was I to sit in my corner and read or journal with so many people around? I mention all of this because – as I feel like I belong in New Zealand – I can tell I don’t belong in California. I know there’s a lot more to this state than the Central Valley, but I just feel it’s a state I’m supposed to pass through as a visitor. Despite the fact I’ve only been here for about 1.5 months, I already have itchy feet. When I lived in my dry cabin in Fairbanks, I often enjoyed late night walks home under the Northern Lights. I’m not one for singing when other people are around, but I sing along to music when I’m alone all the time. At some point I decided I can decently sing along with U2’s song “With Or Without You,” a song that I find rather beautiful. It became my go-to song to sing when spinning around with eyes turned up to the sky, on my walks back home. With brilliant colors dancing overhead and the chill warming up my spirit, I’d belt it out to the skies. Only now do I realize just how fitting the song title is for my perspective. I dearly miss my Northern Lights. While in Hawaii and even now here in California, I’ve found myself getting excited about wisps of cloud that look like pale green lights, only to remember I’m not in Alaska. I miss -40F and hearing everyone complain about it; I know they actually secretly love it. I miss my puffy coat. I miss skiing to cabins and then climbing into a gigantic down sleeping bag. I miss waking up to the frosty inside of a tent and having my good friend Tad greet me with a friendly “Good morning beautiful.” I miss my failed sled dog friends. I miss gatherings of plaid-clad friends enjoying a pint in the Pub or in dry cabins tucked in the snowy woods. 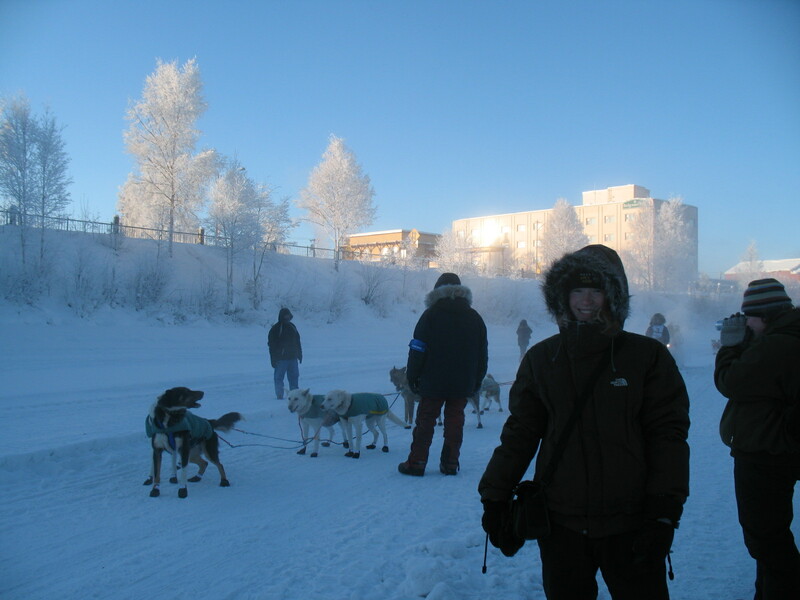 You can’t find camaraderie like that of Fairbanks folk frozen together for the winter anywhere else. But at the same time, what am I to do in the winters up there? Permanent field tech positions are few and far between. Also, travel in and out of the state isn’t exactly cheap, making it a less-than-ideal home base. It seems I can’t live with or without Alaska. I suppose there are worse dilemmas in life. To cut straight to the point, this park is badass. After multiple backpacking trips inside the park, I’ve determined that’s the most fitting description for its personality. 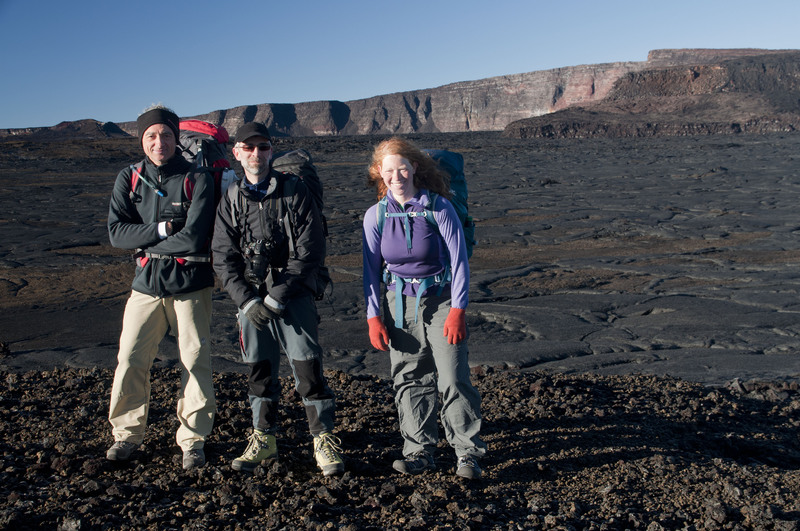 Seriously, Mount Doom is wicked steep and a pain to hike up because of the scree, but the surrounding landscape has nothing as ominous as the otherworldly feel of the slopes of Mauna Loa. Both of my trips were recommendations from a friend, and I feel the trips covered a variety of landscapes. One hike had me hoping altitude sickness would leave me alone as I climbed Mauna Loa, which is the largest mountain in the world by landmass. 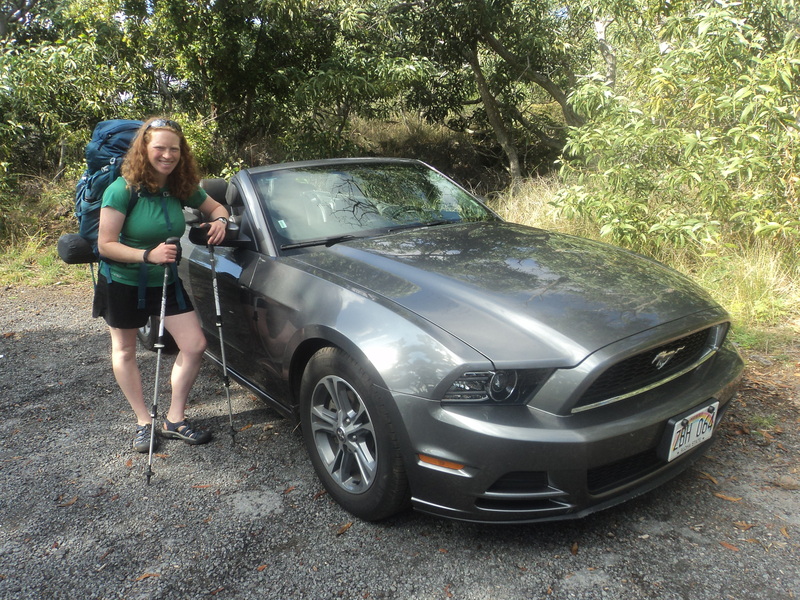 I drove my Mustang up to the parking area at 6662 feet and gradually climbed my way up to 13667 feet in the company of a couple friendly Frenchmen. 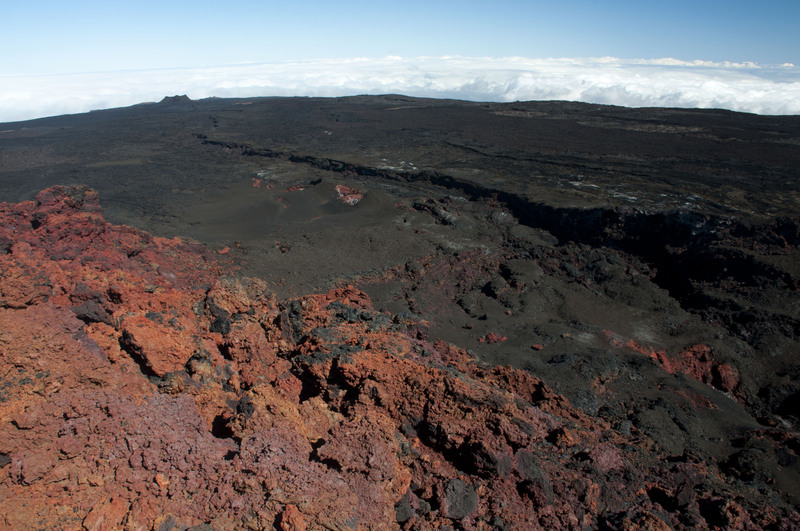 While initially in some brush vegetation, 3/4 of the hike was over shades of red, gold, and black a’a and pahoehoe. My mind was utterly blown by the sinister, alien appearnce of the landscape. I’ve never been on such a unique mountain; the gentle slope, substrate underfoot, and surrounding features created such a foreign experience. 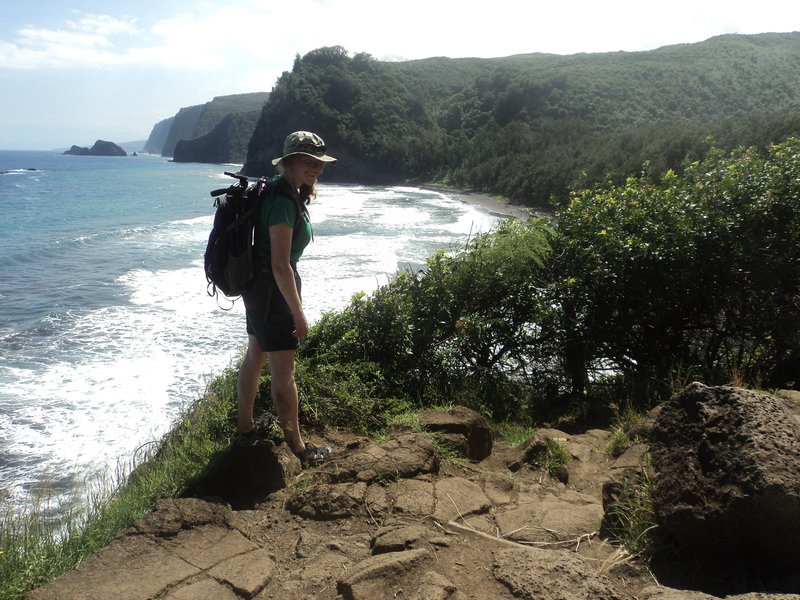 My other hike took me from the Mau Loa o Mauna Ulu area down the Keahou Trail to the Halape Beach. 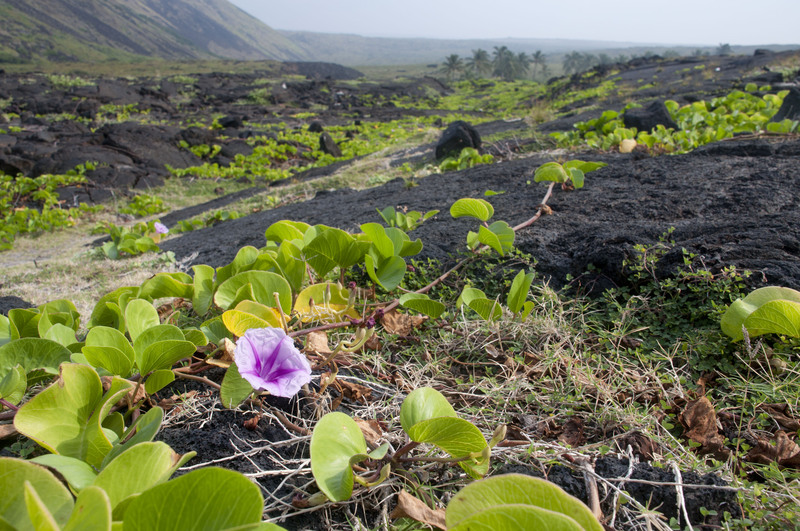 When I parked in the middle of the gigantic lava field, my first thought was “… and how do I follow this trail?” I quickly realized that there’s no lack of rocks for ahu – cairns – along the trail. 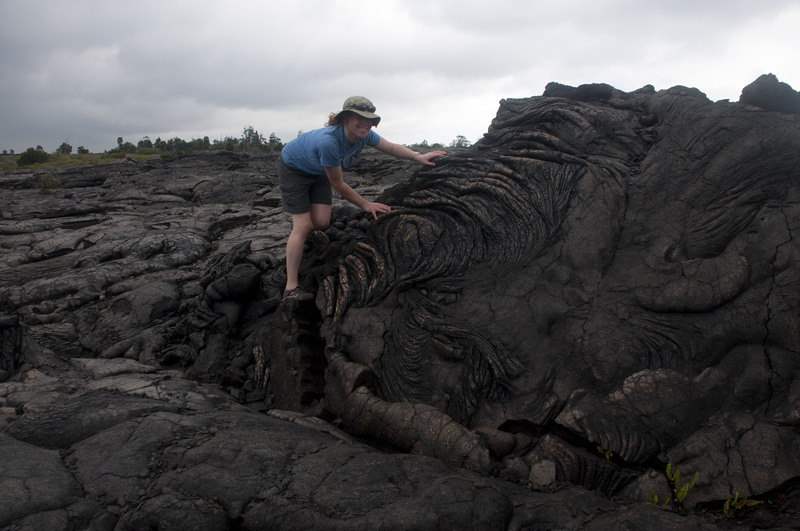 However, I was a little distracted from the get-go as I was hiking around like a conservation canine peering at every “little” burst of lava and clambering around with a smile on my face. I wanted to check out everything. Ultimately I knew I should carry on down the trail, where I first found trees mixed in with chunks of crumpled lava and then eventually low brush. As I descended elevation I found myself in more high grasses and then some obnoxious plant that scratched up my ankles. By the time I was almost to Halape, I’d realized I was approaching what looked like a little oasis of palm trees, lush green plants, and a protected cove. What a range from 2680 feet down to sea level! The next day I ended up enjoying and exploring the area before taking a lazy stroll just down the coast to Keahou Beach. 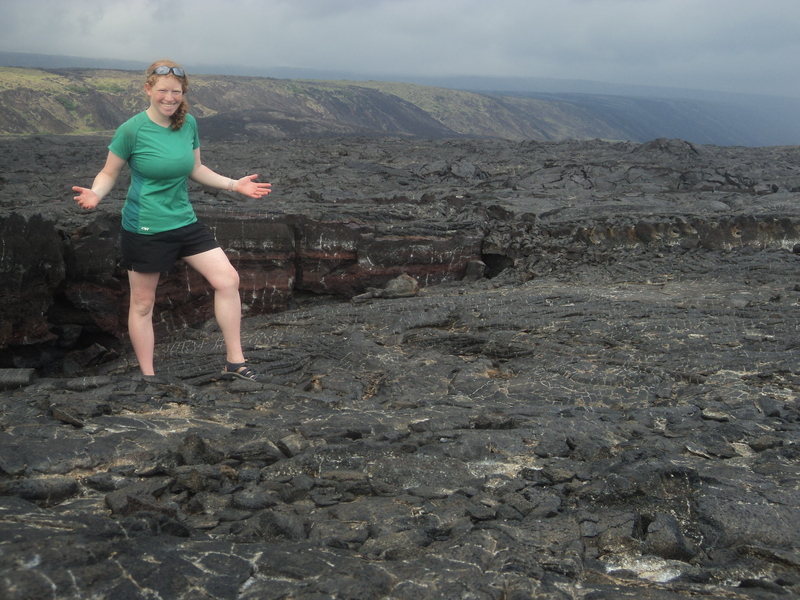 Just a 1/4 mile more down the Puna Coast Trail I found my playground: another enormous lava field. Since I’d set up camp and was only carrying some cameras, this is when I really started bounding around like a puppy and decided the park is unlike anywhere else I’ve visited. I really wished I had someone else along to enthusiastically react (aka freak out) over every little discovery with me. If anyone had been watching me, they may have questioned my sanity; I’m perfectly okay with that. Immediately I thought to myself, Only seasoned veterans of lava monster can play here. Seriously, there’s no safe zone! This is so cool! Ultimately none of these words or any other synonyms felt right. I decided that ‘badass’ is really the only word to describe the nature of the park. It delivers the edgy, evil connotation of lava and imparts the power behind volcanic landscapes. While running around this giant playground, I couldn’t help but wonder why so few people were out there. Most people were likely wasting away as they typed up boring reports or stressed over yearly spending figures for companies consumed only with making money while I was exploring and living. Some people who have free time spend it wondering about utterly useless topics like Britney Spears’ dress size. How do such trivial topics contribute to our lives in any way? There’s so much more worth pondering and seeing in the world, such as… lava, the northern lights, bioluminescence, ancient cities and ruins, wildlife, Antarctica, marine life, fortresses, stars, microbreweries, and wilderness! Office cubicles, spinning chairs, and the internet can’t give you all of that. And most places can’t give you giant lava fields, so go to the Big Island of Hawaii as soon as you can. While I won’t say I’ve found my calling in life, I’ll say I recognize what makes me happy. It’s true that many friends of mine can list off the favorites that seem to define me, such as purple, puppies, polar bears, plaid, New Zealand, Alaska, and Michigan State. However, the kind of life that I enjoy doesn’t necessarily revolve around those. “Oh, wow!” was my immediate response as a goofy smile spread across my face. (Since when are convertibles the cheapest rentals?) I wasn’t going to complain, and I’m guessing that they had just run out of economy cars and given me a free upgrade. “Is that a good wow or a bad wow?” the woman wondered aloud. “Do you think you’ll want to put the top down?” the woman asked, explaining she’d show me how. “Well, I live in Alaska, and you’ve just given me a convertible in Hawaii. I think I kind of need to take advantage of this,” I replied. During my time with the car I got some second glances and gave a few people some laughs to see a single redhead driving down the road in a convertible. I also cracked myself up as I slept in the passenger seat in random parking areas in Hawaii Volcanoes National Park a couple times. Something tells me I’m not the typical convertible driver. That was just one snippet of happiness during my recent trip to Hawaii. Although I hadn’t initially planned on renting cars, being 25+ years old is possibly the best thing that’s ever happened to me. With a rental car, I can easily park somewhere and sleep, thereby having “free” lodging and the freedom of my own schedule. I’m back in Seattle now, and I insisted on continuing to wear shorts and sandals out of the airport, on the lightrail train, and until I was inside a house. Isn’t living in denial of the wet, cool, windy weather a beautiful thing? Why did I leave Hawaii again? This evening I needed to buy some food for my train ride south to Thanksgiving in Napa Valley. After grabbing a quick bite to eat, I got distracted by Elliott Bay Books. While scanning the shelves in various sections, I found myself writing down 10+ titles to check out at some point. 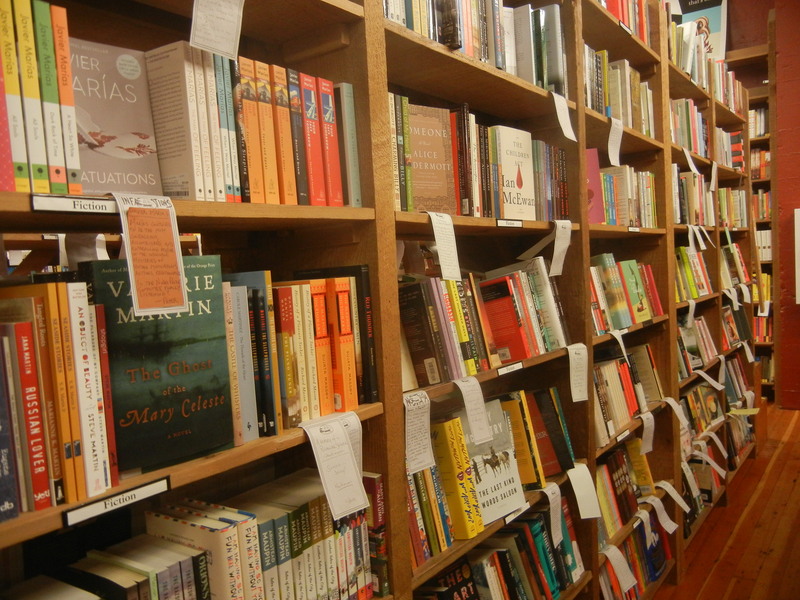 Honestly, I would have liked nothing better than to have filled a shelf with books, stuck that shelf in a car or tiny house, and headed back for the excitement of travel. A travel buddy would be nice, as well. I’ve found that as soon as I return from the field or come back to “reality” from vacation, even if I had been alone at times then, I only feel alone when I’m surrounded by unfamiliar people caught up in the bustle of day-to-day life. As I’ve said before, I just don’t fit. If anyone wants to help build me a library on wheels and support my travel, feel free. I’ll happily live off of ice cream and finding the occasional puppy to pet. Without further ado, here’s a variation on my equation for happiness. Today I swam in Hawaii for the first time in my almost 2 weeks of being here. Some of you may find that hard to understand, but saltwater just doesn’t have a huge draw for me. I’m a Michigander and will take freshwater over saltwater any day. However, snorkeling is pretty popular here on the Big Island, and I’ve known I’ve been missing out on the underwater world so far. Fortunately there are a number of companies, including Snorkel Bob’s, that rent snorkeling gear for what I see as fair prices. ($9/week for cheap gear or $35/week for standard gear) With a rental car and snorkeling gear good to go, it was time to hit the water. Before I dive into the this, I have to explain the backstory. 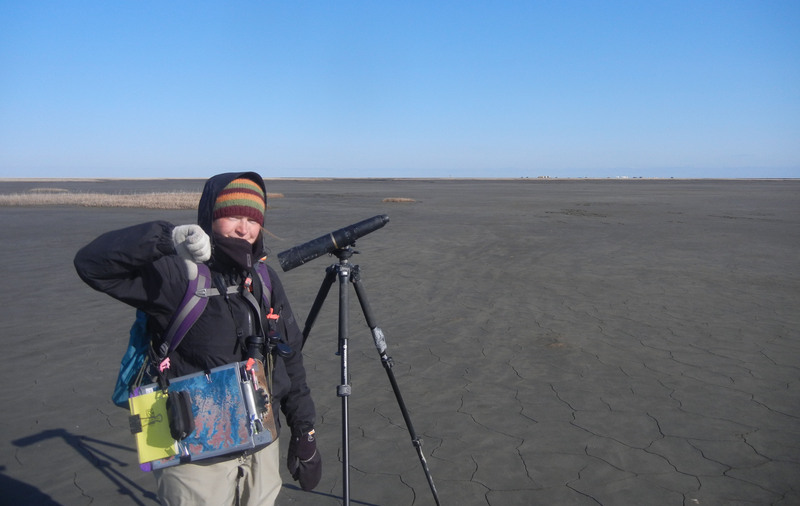 My hope for this winter was to work as a fisheries observer on a boat in the Bering Sea. Last winter I had spent some time as a seafood processor at-sea, so I decided to go for the job that would actually be useful on a resume this winter. Observers are the biologists/law enforcement who make sure the boats don’t end up with too much by-catch and follow all the rules. Generally observers aren’t the most celebrated people on board because they can shut down operations, but the role is an important one. Weeks ago I’d applied to work for Saltwater, Inc., which is one of the companies who hires observers to work for the National Marine Fisheries Service. I knew I was 5 biology credits short of the minimum 30 required when I applied, but I hoped that some Natural Resource Management credits, a beauty of a GPA, and field experience would help me secure a spot. Through communication with the HR woman at Saltwater, who was extremely friendly and helpful, I learned we could try petitioning for NMFS to accept 5 non-biology credits. That included digging some course syllabi out from storage and sending those in, followed by playing the waiting game. Last night the waiting game finally came to an end when I received an email saying NMFS wouldn’t accept those petitioned credits. In other words, I’d lost. Since I am on vacation in Hawaii right now, I can’t allow myself to get too down, but I would be lying if I said I wasn’t disappointed. In my head I’d been banking on that working out and not needing to worry about the next few months. In a way I’d been trying to ignore any other possibilities. Similarly, by not swimming I’d been missing out on the colorful world hidden in the waters of the bays I’d been content passing by. 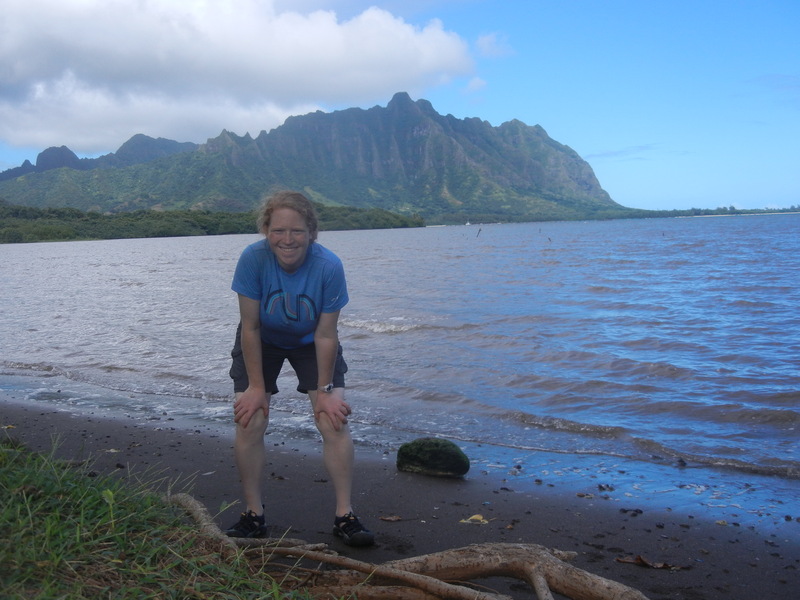 When I first attached my mask, slipped my feet inside the fins, and slid into the waters of Honaunau Bay (aka Two Step Bay); I realized – or remembered – I’d been an idiot by not testing the waters. The last time I went snorkeling was when my family went to the US Virgin Island when I was in 7th grade. Snorkeling is awesome; it’s basically swimming for lazy people with entertainment included! As soon as I saw all the life I’d been ignoring, I realized I’ve been holding myself back from who knows what all. Whether it be jobs or beautiful underwater scenes, my focus on one job and on land has kept me from noticing what other opportunities may be out beyond the reef. When I’d had my fill at Honaunau Bay, I wanted to immediately drive to another good snorkeling beach. 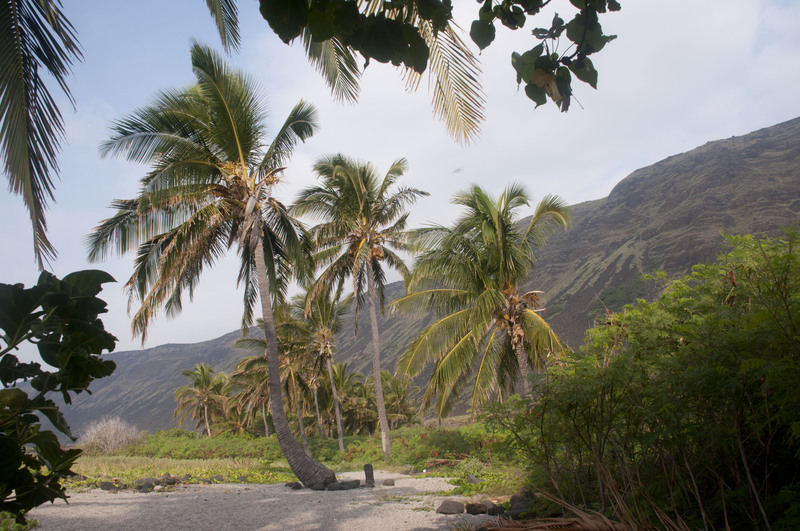 I visited Kahalu’u Beach Park next, where I had an even more fantastic experience. 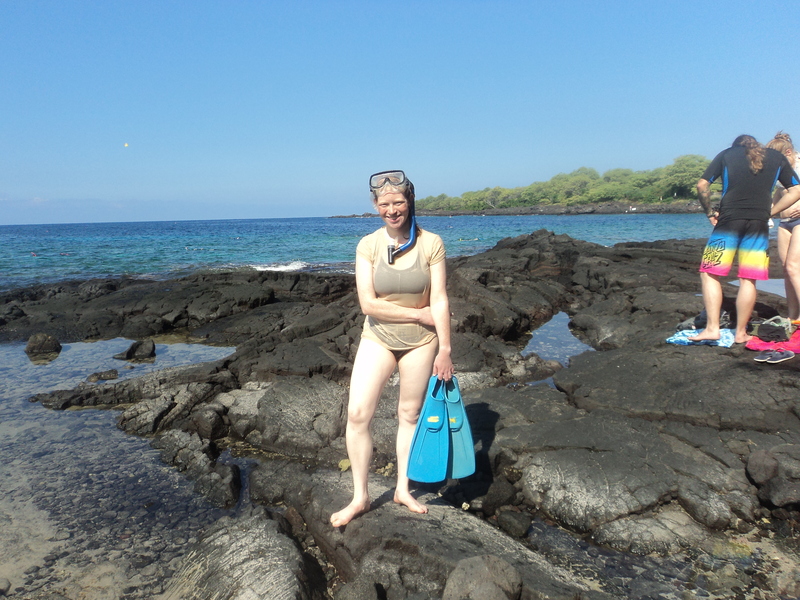 The coral was better, the fish were more plentiful, AND I got to swim with a Hawaiian green sea turtle. It kept on munching and doing its thing while I watched. The experience was truly marvelous. My application for The Nature Conservancy is complete, I’m poking my nose around in biology classes, and the Texas A&M webpage is starting to have more action. Although my first choice for winter isn’t going to work out, there’s something in store for me. Who could want coffee in times like these? Stores are good for something: air conditioning! I actually want some short shorts now. Wait, ice cream melts when I carry it outside? I haven’t worn socks since last Sunday! The wind is actually your friend here. No longer will my brother be able to hold his travel to the 50th state over me. Rather than sitting in Fairbanks or Anchorage and wondering what to do or taking a meaningless job, I decided to take advantage of cheap airfare and see somewhere new. Since it’s close to boarding, this has to be quick. What am I most looking forward to? The answer for most travelers to Hawaii would probably be the beaches, pina coladas, surfing, and sunshine. 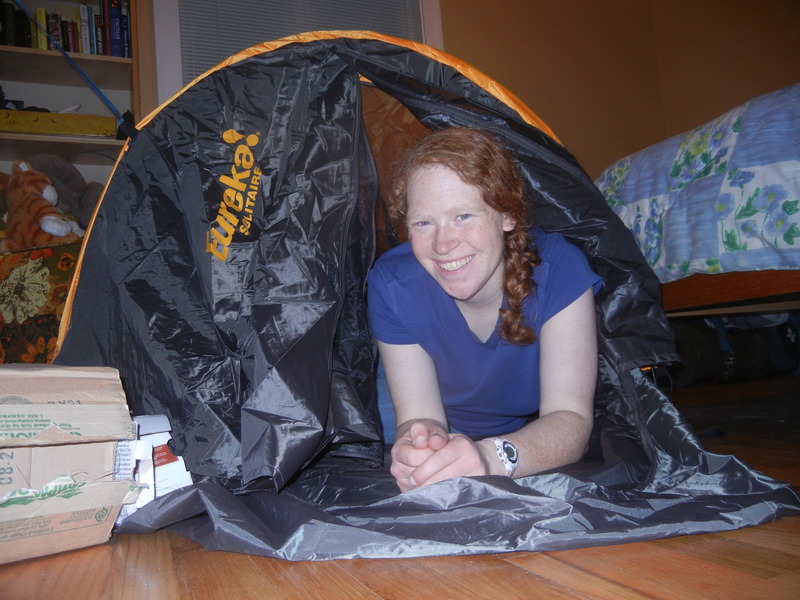 While all of those sound nice, I’m most excited about using my brand new 1-man tent! Honestly I’d love to get off the plane and roll the tent out first thing. Unfortunately I will be waiting a couple days before doing that, but just know that I will be smiling like an idiot when I climb in for the first time.